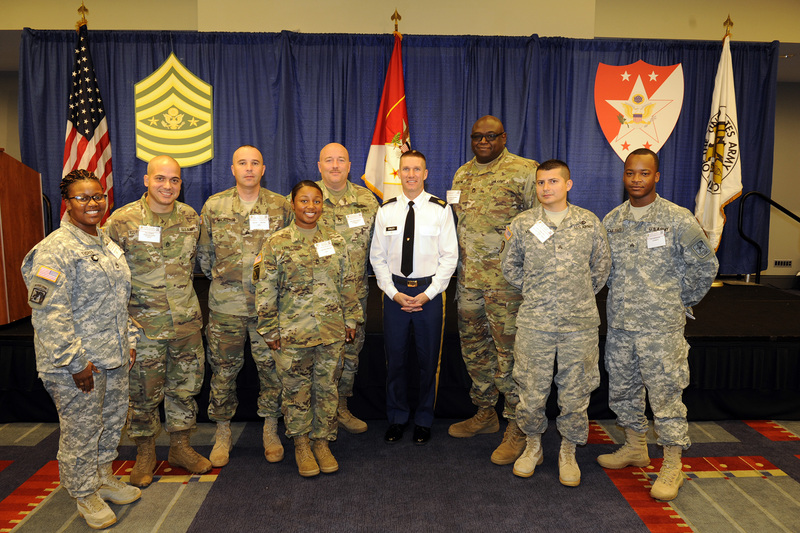 Across the Army and around the world, Army leaders, soldiers, Army civilians, retired soldiers, veterans, industry leaders and Army families are all excited about this year’s Association of the United States Army’s (AUSA) Annual Meeting and Exposition in October here in our Nation’s Capital. Those who have attended the AUSA Annual Meeting and Exposition last year will immediately note the meeting is back in line with the Columbus Day weekend and the 33nd Annual Army Ten-Miler on Oct. 8. This year’s professional development forums take place at the Walter E. Washington Convention Center, Oct. 9 through Oct. 11, with senior leader discussions and exhibits that spark imagination and showcase our Army’s and industry’s cutting edge technologies for the future. The AUSA Annual Meeting also allows the Army to showcase our soldiers and our land-power capabilities. Your Association of the United States Army serves as the lynchpin to unite Army leaders and soldiers, industry leaders and members of Congress to share, learn and thoughtfully engage in the future of our Army, our nation’s security and our ongoing global missions. All the soldier and noncommissioned officer forums and discussion groups will center on building readiness across our small unit teams today in preparation for the multi-domain battlefield of the future, while paying tribute to the 100th anniversary of America’s entry into the Great War known today as World War I. One of the most highly coveted items every year at the AUSA Annual Meeting is the Sergeant’s Time annual calendar. The calendar features action photos showcasing our soldiers and noncommissioned officers who achieved excellence in their profession this past year. Sgt. Maj. of the Army Daniel Dailey, Command Sgt. Maj. Christopher Kepner, the outgoing command sergeant major of the Army National Guard, and Command Sgt. Maj. Ted L. Copeland, command sergeant major of the U.S. Army Reserve, along with all the former sergeants major of the Army have provided their thoughts to support this year’s calendar theme. The calendars are available for attendees at the Sergeant Major of the Army’s physical readiness training for soldiers and noncommissioned officers on Monday, Oct. 9, at 6:30 a.m.; the Noncommissioned Officer Professional Development Forum on Tuesday, Oct. 10, from 8:30 to 11 a.m.; and the Sergeant Major of the Army’s Professional Development Panel on Tuesday, Oct. 10, from 3 to 5 p.m. These three professional development venues provide an exceptional opportunity for soldiers and leaders of all ranks and occupational specialties to learn from the senior leaders and subject matter experts overseeing the transformational changes and newest initiatives impacting our Army today and tomorrow. For those who attended the AUSA Annual Meeting the last two years, one of the newest additions is the Institution of Land Warfare’s Contemporary Military Forum for the Sergeant Major of the Army’s Professional Development Panel. This venue will host Sgt. Maj. of the Army Dailey and a panel of senior sergeants major and subject matter experts from academia and command and staff for a professional development discussion focused on soldiers and noncommissioned officers building readiness for multi-domain battle. This will be followed by a question and answer period for those in attendance. As a special opportunity, soldiers and families attending the Annual Meeting will be able to see the Tomb of the Unknowns changing of the guard at Arlington National Cemetery and the monuments of Washington during a free bus tour hosted by the Old Guard on Wednesday, Oct.11, from 9:30 a.m. to 1 p.m.
For those wishing to take advantage of this bus tour, the bus will be staged at the corner of 9th and L Streets in front of the convention center. Look for the signs in the vicinity of the crosswalk on L Street between the North and South Walter E. Washington Convention Center halls. The Army’s Best Warrior Competition will be held at Fort A.P. Hill in Virginia the week prior to the Annual Meeting. The noncommissioned officer and soldier selected as the winners of the competition will be announced at the U.S. Army Noncommissioned Officer and Soldier Recognition Luncheon on Monday, Oct. 9, from 12:30 to 2 p.m. The luncheon is free and seating is based on a first-come, first-seated basis. In addition to the noncommissioned officer and soldier of the year announcement by Dailey, the luncheon will feature Army Vice Chief of Staff Gen. James C. McConville as the guest speaker. The 33nd Annual Army Ten-Miler starts and finishes at the Pentagon on Sunday, Oct. 8, with more than 35,000 highly motivated runners. Non-motivated runners can get a dose of motivation at the pre-race Pasta Dinner on Saturday, Oct. 7, at the Crystal Gateway Marriott Hotel in Arlington. Va.